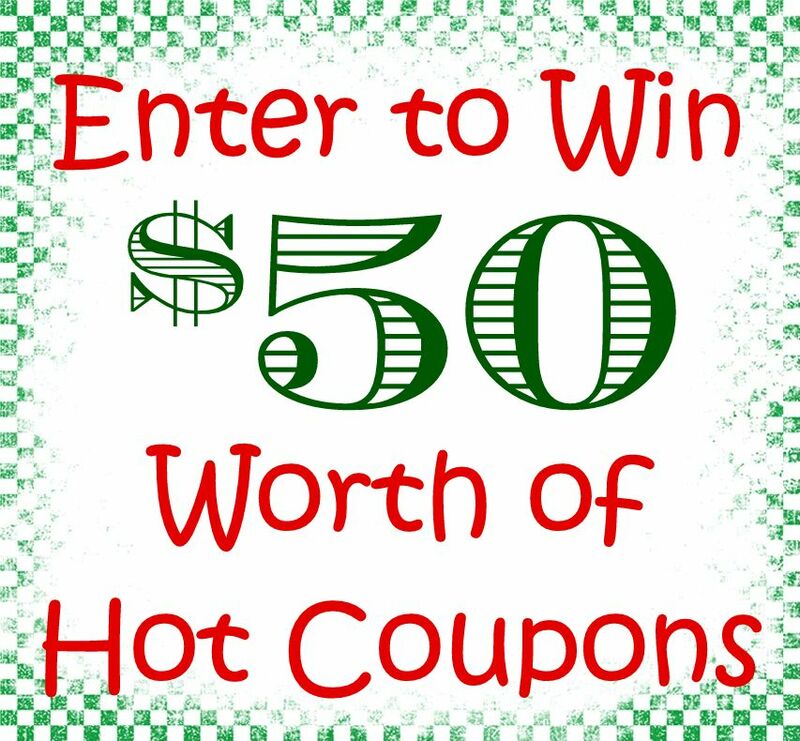 It’s that time again guys – one lucky reader will get $50 worth of hot coupons this week, all you have to do is leave a comment on ANY post. That’s right, just leave a comment on any post and you’ll be entered in this week’s giveaway, PLUS you’ll get an entry for EACH comment so talk to me, give me your thoughts or ask any questions and you’ll also be entered to win. The winning comment will be selected at random on Saturday night at midnight and the winner will be announced on Sunday. Thanks so much to all my wonderful readers – you’re the best! I absolutely love your site. There is lots of great information on it that is so helpful to someone like me who is still fine tuning my couponing skills. Keep up the great work. Thank you so much for all the work you put into your site and emails, you have helped me so much! Thank you for the giveaway opp., I can sure use some extra coupons in these season…blessings! love your0 site. I have a question though can you use a manufactor coupon that have a store name on it at another store? Would love to win some coupons to complete a giving basket. I would love to win some coupons. Right now times are tight with christmas and my sons senior year at high school. Hope to save any way I possibly can. Thanks alot. I am new to your site and will probably use it often! I am a college student and could really use some coupons. As a college student, I am completely poor yet we still must pay our bills, tuition, textbooks, and much more. It’s really a struggle trying to survive and I am so thankful that I am graduating this Spring. I can finally get a job and start paying off those loans. Just found your website tonight. Very cool. I appreciate very much the way you broke your list and coupons down. I will definitely be back! Just found your website this morning! Wow…in 15-20 minutes…I’m in AWE! I was amazed to see your YTD savings, and this is the first I’ve heard of “FREEZER COOKING”. So, that’s how you still stay sane enough to help us new couponers out. I’ll be checking back with you, and would LOVE some coupons! Thanks from a busy mom of JUST 3! Merry Christmas! Lovin It!! Today I bought a game that was 19.87 but the label on the shelf said 8.00 (which I did not know that was the wrong price) and I had a 5.00 coupon for this game!! I paid 3.00 for a 20.00 game!! Yeah me!!! WooHoo!!! Happy Christmas for a little one in my house!! Just discovered your sight and it is awsome. Thanks for all you do. As Forrest Gump may say, frugal is what fugal does! And I need to emulate my frugal side!